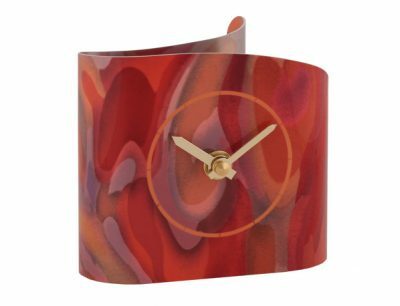 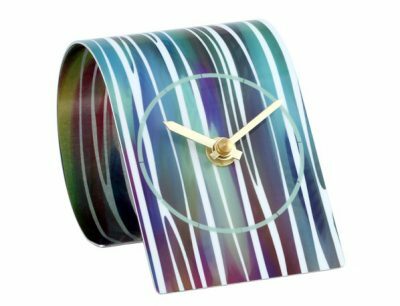 The beautiful mix of lively colours on this clock will bring a lovely feature to a room or office. 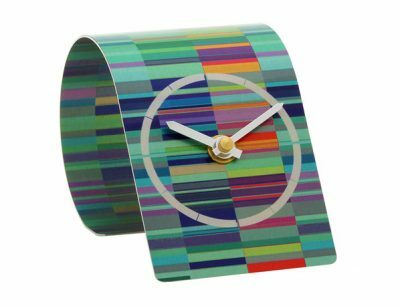 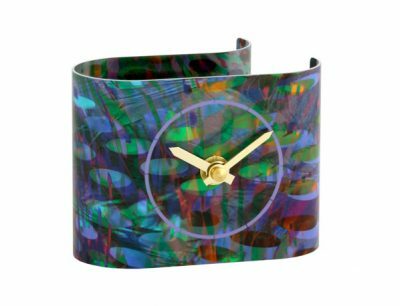 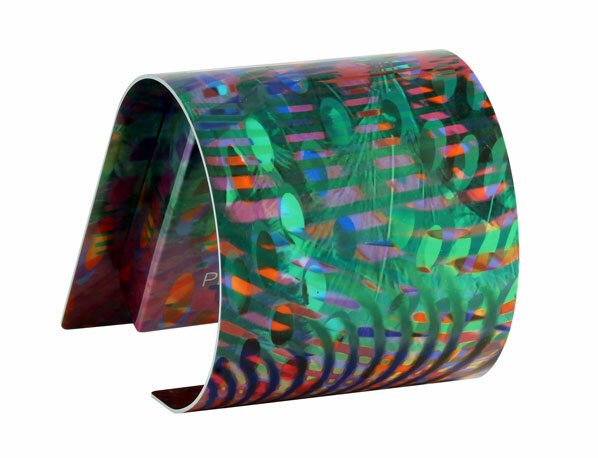 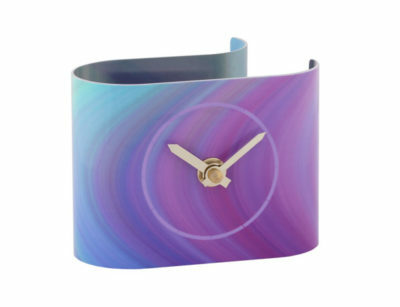 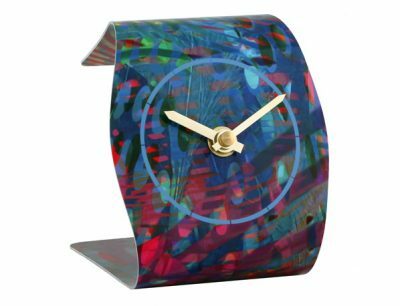 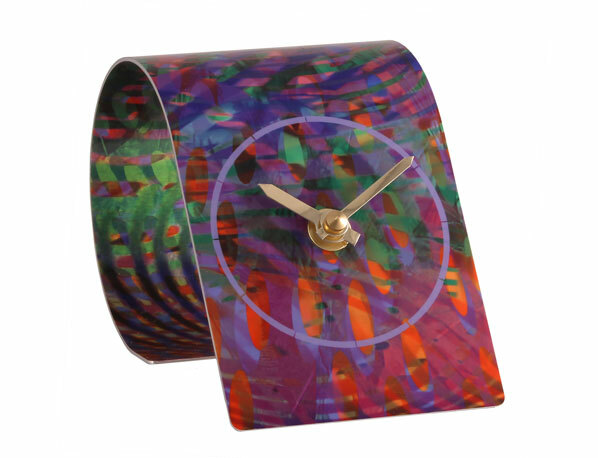 A tropical mix of green, purple and orange feature in an abstract oval and line pattern. 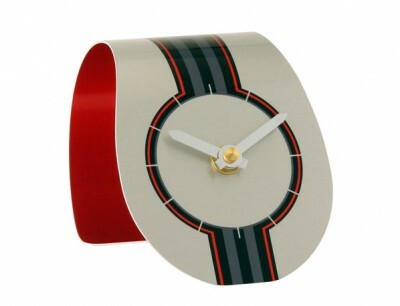 The design is continued on the reverse of the clock to give a complete appearance and distinctive look.